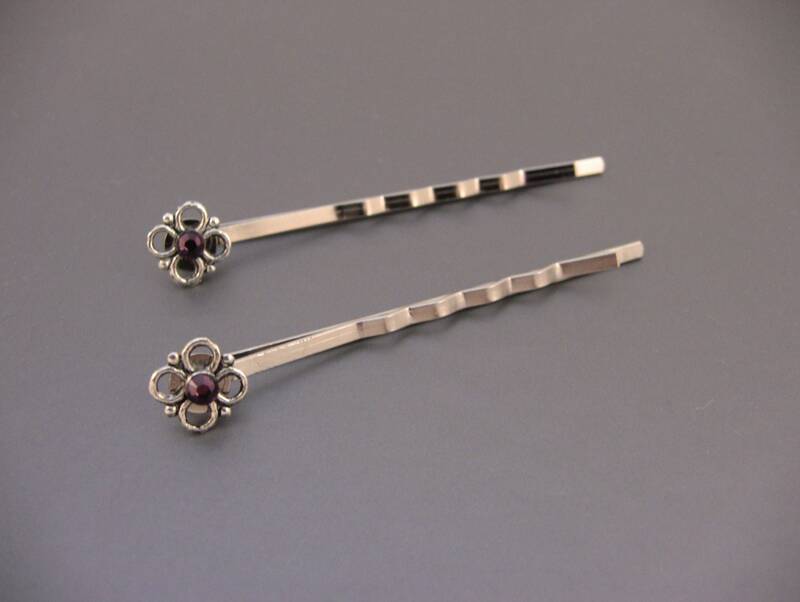 These simple, but elegant bobby pins are made of a silver tone metal and have a silver toned flower charm with an amethyst/dark purple colored crystal. Bobby pins are approx 2" long and flower charms are approx 1/4" wide. Sold in sets of two.